What spicy words have you used today? At La Petite Academy preschoolers are learning fun and powerful new ways to express themselves with surprisingly sophisticated vocabulary. Words like enormous, creeping and fierce are celebrated as children first discover, then try out newly acquired expressions. For children at La Petite Academy, discovering spicy words is a favorite part of every school day. The teacher reads a book aloud, the class finds the spicy words, the teacher posts them on the word wall in the classroom, and children enjoy using them in daily learning activities throughout the week. 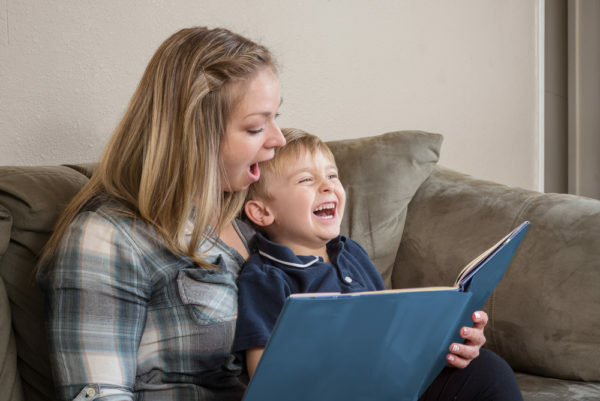 Encouraging vocabulary development in preschool is an important step to supporting reading proficiency in elementary school – and ultimately ensuring a skilled future workforce. According to a recent study from the Business Roundtable, an association representing leaders from top U.S. firms, 93 percent of CEOs rated reading and writing as very or somewhat important for current job openings in their companies. Forty two percent of CEOs reported difficulty in finding qualified applicants with strong enough skills in these areas. The shortage is pronounced in STEM (science, technology, engineering, math) fields, where workers need advanced literacy skills to effectively communicate about technical topics. Storytime offers a natural opportunity for families to discover and celebrate spicy words at home. Connect spicy words to words your child already knows. Explore new spicy words in thematically related groups – such as feelings, activities, and weather. Keep conversation flowing – Maintain a running play-by-play during activities to explain what you’re doing, using familiar and new words. Applaud your child’s attempts to experiment with new verbiage. Be gentle when correcting pronunciation or misuse. Repeat and repeat – Encountering the same new or spicy word several times, in appropriate contexts, will help deepen understanding. Use a new word multiple times in scenarios that are meaningful for your child. For more on spicy words, check out this YouTube video featuring Dr. Susan Canizares.